Perhaps when Mr Henry Glass first designed the hairpin legs he did not expect them to be popular for as long as they have. But they have outlasted their competition for good reason. Their angular shape gives them strength and let them carry a lot of weight while simultaneously making them look stylish. They pair easily with any furniture in and around the house, which is why they are popular not only with DIY builders but also professionals. So, if you have been planning to build a table or a couch or any other piece of furniture and are looking to buy legs for them, look no further. Here is a list of three incredible sets of hairpin furniture legs along with a few tips and tricks on how to choose the best set of hairpin legs out there. If you`ve found the hairpin legs for side-table and hairpin legs for end table below interesting we invite you to check various other articles on the subject, we have curated lists of the hairpin legs for table, hairpin legs for desk, hairpin legs for dinning table, hairpin legs for nightstands, and last but not least hairpin legs for bed; below we also list a couple idea guides that showcase hairpin option as a solution for the task at hand. 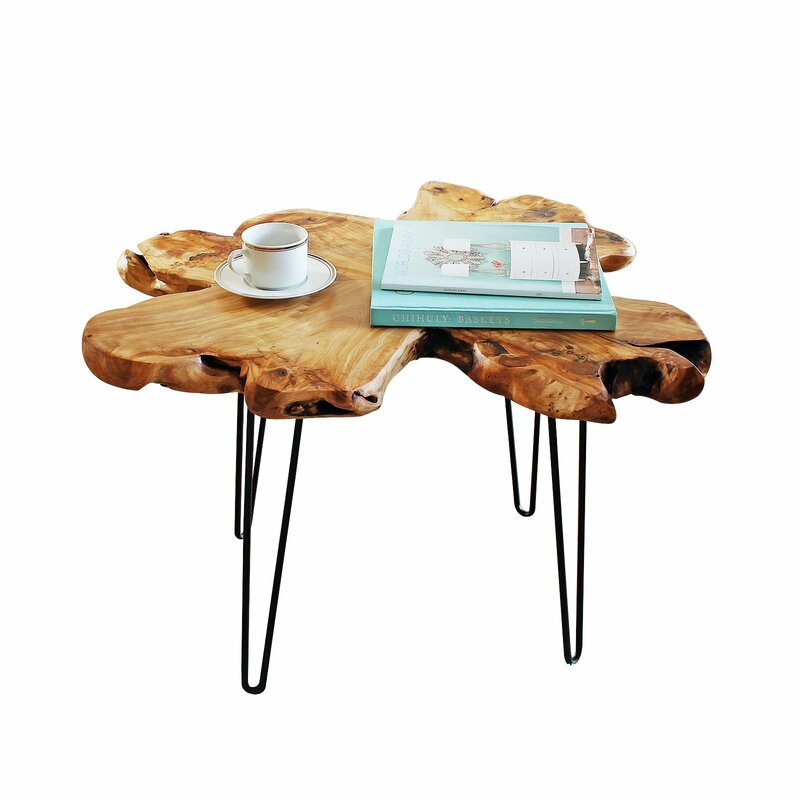 From night stands to coffee tables, if you can think it, you can make it. These hairpin legs are made of raw steel and have a gorgeous and smooth black stain finish. The legs also come with holes that were drilled into it beforehand so even if you are new to DIY, you can assemble them with ease. The legs go with pretty much any table tops you can dream of. While they make fantastic media consoles, you can also use them for a solid garden table for barbecue days. 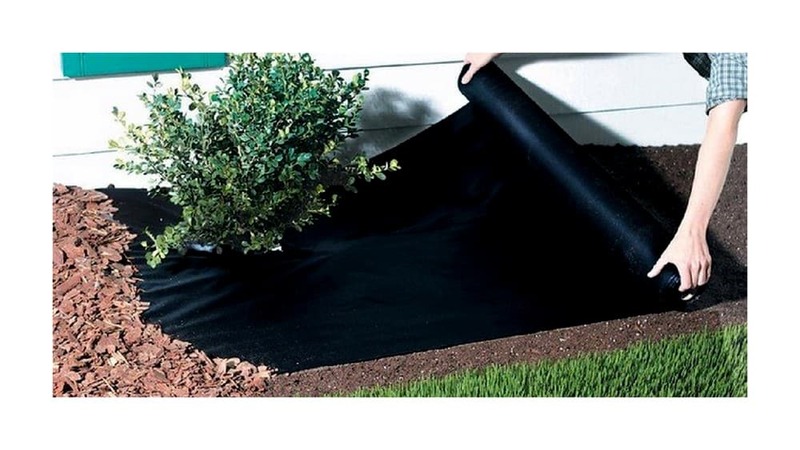 Overall, this product isn’t heavy, but, it can support up to 350 pounds with ease. Because of the durable material and beautiful black stain finish, this is a pretty solid buy for anyone looking to buy hairpin table legs. It goes with almost any table tops you want to pair it with, including rustic and rough wooden ones and suitcase end tables. 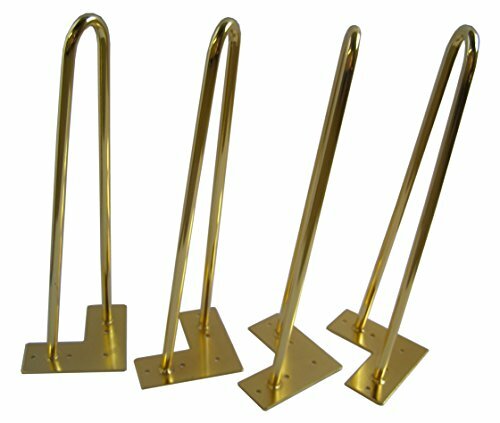 These hairpin legs may be made of raw steel for great durability but it is the golden brass finish that takes the cake. The finish not only looks fantastic but keeps away rust for years. It is available in two different sizes and fits most furniture you are looking to build. Each of its legs can support a staggering hundred and fifty pounds, making these not only pretty but a very solid buy. The brass finish along the raw steel that has been used to manufacture these make them very durable and keep them protected from rust. The base and floor have a six-degree angle between them, making them sturdy. They go with pretty much everything. Installation is very easy because of the fives holes that are pre-drilled into them. The set also comes with the screws so you can just unpack and start assembling the moment it arrives. It is available in more than one size to fit your different furniture building needs. 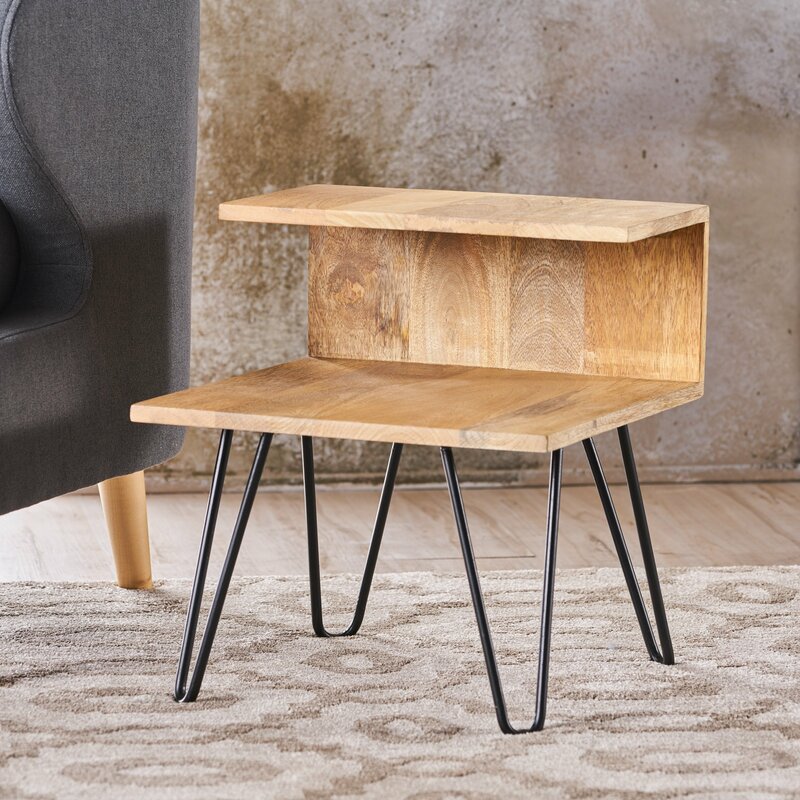 While a lot of hairpin legs are designed to support one kind of furniture, a set of these can be used to build anything from a sofa to a coffee table or a bench. They even make fantastic cabinets. Overall this is a very good buy for anyone looking to delve into the DIY world. This has to be the most versatile option on this list. These double welded steel hairpin legs combine the vintage with the modern. 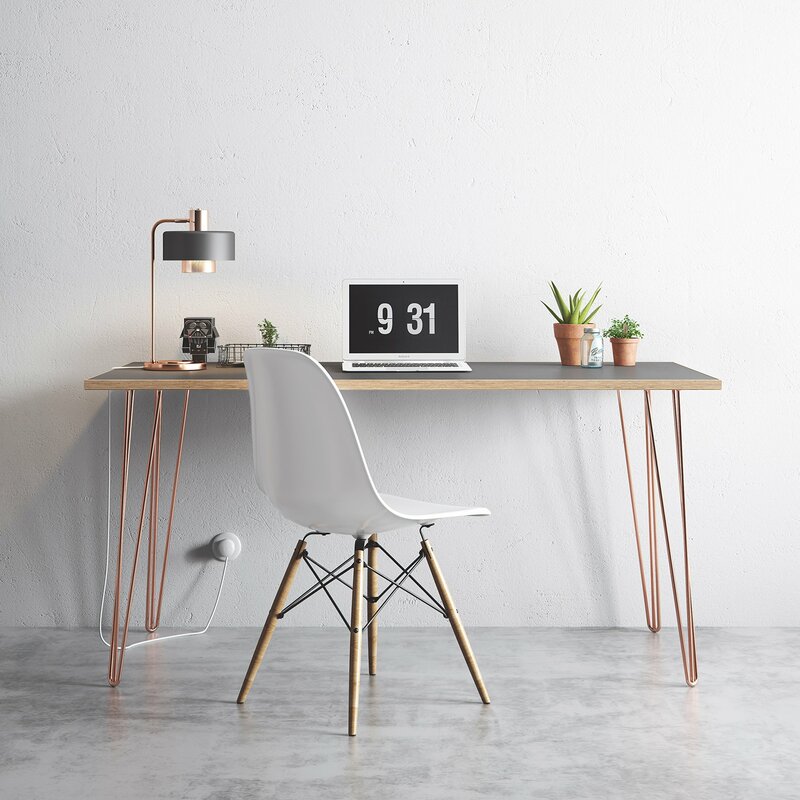 So, while sticking to Henry Glass’ original hairpin design, it also adds a contemporary touch with its raw steel make and shimmery powder coating that keeps it protected from moisture. It comes in different heights and rod sizes too, making this a perfect fit for beginners as well as professional builders. Perhaps the first thing you notice about these set of legs is the sheer number of options. They are available in various sizes, from 4 inches to 40. There are also various colours and sheens available. This means that it will not only go well with the wooden garden table you have been meaning to build but also fancy dressers and bookshelves. The rod diameter can be chosen according to what you are building and how much weight you need the legs to carry. 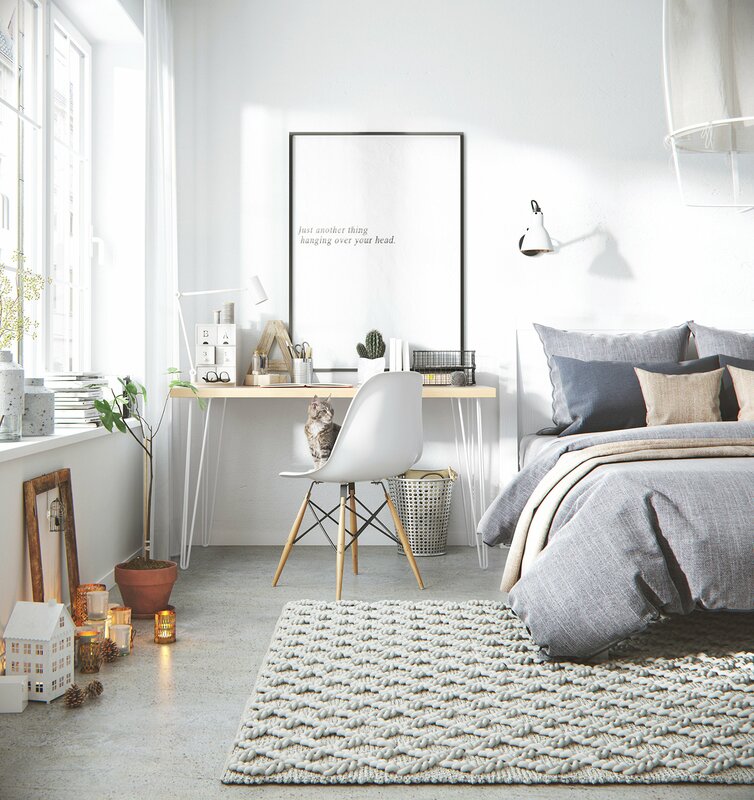 The look combines modern strength with a little bit of a vintage appeal. The shimmery powder that coats the steel looks gorgeous and keeps away moisture while at it. Not convinced? Well, the sets of hairpin legs also come with a 60-day return policy. So, if they do not suit your tastes or fall short of your expectations, they will be taken back without the need for any further hassle. These are available in both tripod and twin styles and remain true to the original hairpin designs by Mr Glass. 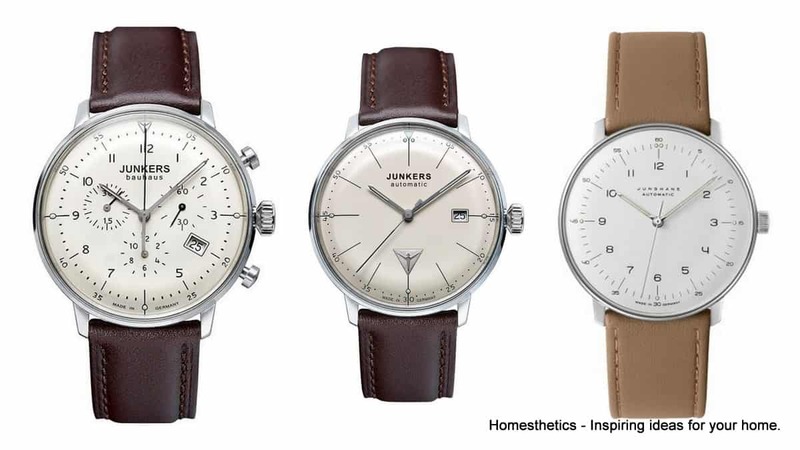 They are also available in different colours and sizes and combine modern strength and style with a vintage appeal. All of that combined with the clear powder coating that keeps away moisture and, hence, rust, makes it a very good buy indeed. The choices in colours and sizes will make sure that they go with anything you are trying to build, while the raw steel keeps it durable and strong. 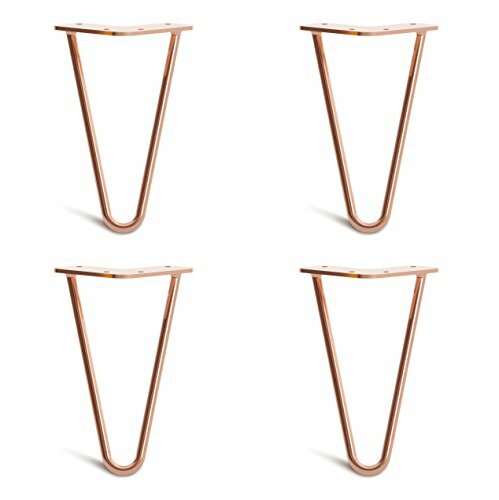 Material: Hairpin legs are often made with widely different materials. This also makes their cost vary a lot. But instead of going for the cheapest, we suggest you go for proper raw steel legs. Steel legs not only last longer but also can carry a lot of weight, which means you will definitely get your money’s worth out of these. Coating: Always go for coatings that protect the legs against moisture. A normal paint job will often do but that does not last very long. Brass and powder coatings on steel legs keep rust away and make them last way longer than you would expect. 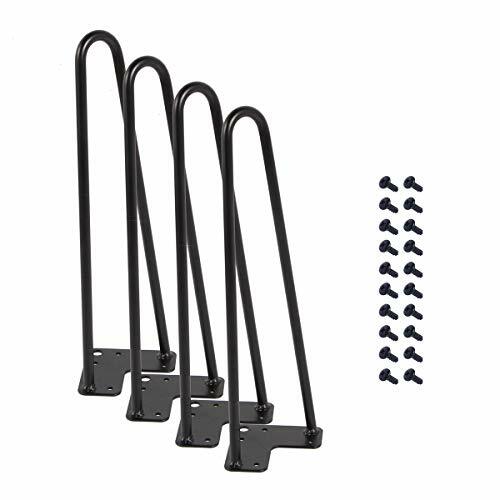 Size Options: A lot of the hairpin legs available in the market today come with different size options so make sure to go for ones that suit your needs the best. If you are going to build a table and already have the tabletop, measure the top to understand how tall the completed product will be depending on what legs you buy and decide accordingly. Weight: While the hairpin legs being light helps, what you should consider is how much weight the legs can carry. For bookshelves and dining tables and other furniture that will carry a lot of weight, make sure to go for thicker rods. Again, steel is the best option in such situations. Just remember to consider the amount of weight that will be put on the furniture before deciding on a set. Others: There are not a lot of other things left to consider but if you are a DIYer instead of a professional builder, you might want to look for sets that are designed to make assembly easy. A lot of them come with pre-drilled holes and easy installation guides so you have no trouble building your furniture. A few companies also offer warranties and buy back guarantees so you should probably look out for those. While something as simple as legs for furniture might often seem like an easy buy, it is not always the case. A lot of things come into play even when you are just looking for table legs. You need to find ones that will do their job for a long time without burning an irreparable hole into your pocket. The looks matter too because any piece of furniture can change the look and feel of a house completely. 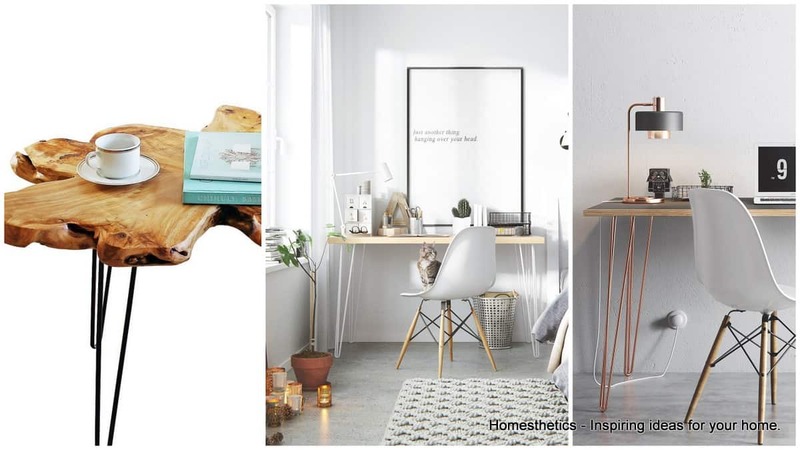 So, in case you are a DIYer looking to build the perfect chic table or shelf for your house, you need to carefully research and choose the parts, including the table legs. Hopefully, this article will prove to be a helpful guide in your search for the perfect pairs of hairpin legs.